Rembrand Builders Merchants Ltd understands that your privacy is important to you and that you care about how your personal data is used. 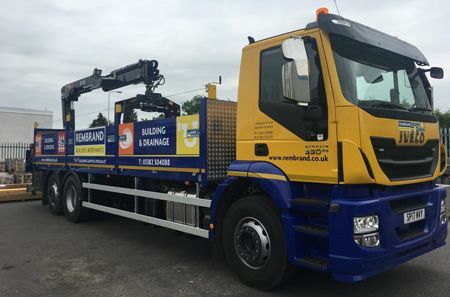 We respect and value the privacy of everyone who trades with Rembrand Builders Merchants Ltd and whoever visits our site www.rembrand.co.uk We will only collect and use personal data in ways that are described here, and in a way that is consistent with our obligations and your rights under the law. Our Site is owned and operated by Rembrand Builders Merchants Ltd a limited company registered in Scotland under company number SCO45055. Registered address: Rembrand Builders Ltd, Laurieston Road, Grangemouth, FK3 8XX. VAT number: 269 907114. Postal Address: Legal Department, Rembrand Builders Merchants Ltd, Laurieston Road, Grangemouth, FK3 8XX.